We hope you had fun watching the GSL Super Tournament event—we certainly did! The matches were really exciting, and we’re that much closer to crowning a champion at the global finals at BlizzCon. That said, all this excitement hasn’t stopped us from paying attention to community feedback on the balance test map. We’re already planning to make some additional changes. Let’s dig in! Cyclone unit changed to 3.8 version. Unit armor set to 1. When Legacy of the Void first launched, the Cyclone was quite different. Requiring a Tech Lab, sporting lower durability, and having the ability to lock onto both air and ground targets, the Cyclone acted as an assassination tool. It could pick a target and destroy it, assuming the player gave enough micro attention to keep it moving and out of harm’s way. These Cyclones were intended to pick off high tech or tanky units from other races to give Terran more early- to mid-game control, and the upgrade allowed it to scale better into late-game. In patch 3.8, we changed the Cyclone into a front-line unit that could provide early-game firepower. 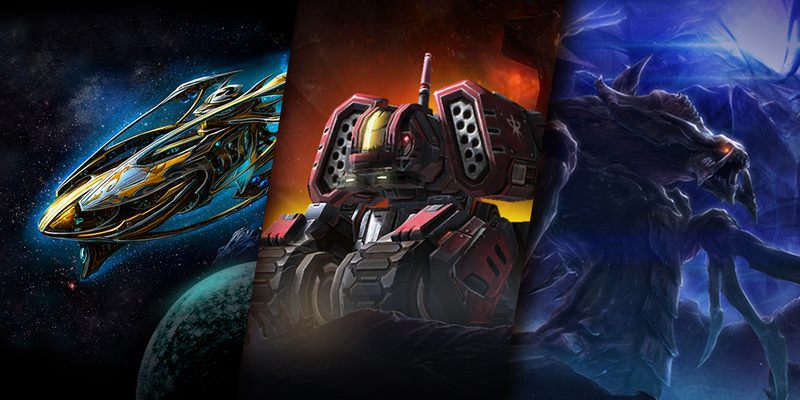 While the meta has shifted back-and-forth since then, the frontline Cyclone did its job well, but there are concerns that early-game Terran strategies, especially for proxies, have become almost too varied for opponents to handle. At the same time, there is still room to give Terrans a way to trade against opponents in the mid and late game without going all-in. Additionally, just before 3.8 came out, we started seeing more innovative uses of the Cyclone in pro-level matches. For these reasons, we want to experiment with reinstating the pre-3.8 Cyclone. Battlecruisers will no longer switch attack targets while moving unless ordered to do so or the current target leaves its range. Previously, the Battlecruiser would continuously re-evaluate threats while moving, often switching targets. Our aim is to give more control to the player, so Battlecruisers will now consistently “remember” their targets while moving. Hydralisk's attack speed changed from .57 to .59. In the last test balance update, we changed the Hydralisk’s attack speed from 0.54 to 0.57 instead of reducing its health by 5HP. We still like the direction of this change but agree with feedback that we need to go a bit further before this change approaches what a 5HP nerf would do. Thus, we’ll be reverting the Hydralisk’s attack speed back to its Heart of the Swarm value of 0.59. The prospect of “Blink” Dark Templar, when they were first introduced, was a frightening nightmare for some, but we haven’t seen them used much lately. We’d like to try adjustments to both research time and cooldown and then re-evaluate the results. Interceptor damage changed from 8x1 to 5x2. Interceptors will get +1x2 per Air Attack upgrade instead of +1x1. We’ve gotten feedback that Carriers are a bit weaker than our ideal target power level. Thus, we’d like to make a few changes that will bring them closer to their previous damage output. In addition to their damage values being reverted, we’d like to decrease Interceptor release periods so they’ll launch at a rate between the pre- and post-Graviton Catapult upgrade rates. Gateway's "Transform to Warp Gate" will now be an auto-cast ability. Previous iterations of the automated Warp Gate change caused a bit of confusion, as some Gateways would automatically transform to Warp Gates while others wouldn’t. We’d like to re-implement this change as an auto-cast ability, which should better communicate to players what is happening and provide more control over which Gateways transform. ZvP mid-game and the openers and compositions leading up to it. In addition, we’ll continuously be looking at late-game balance among all the races as per our initial design goals for the post-BlizzCon update. Thanks for testing out the changes, and please let us know what you think on the forums or through your preferred community sites!